First Security Islami Bank Limited donated Tk. 50,000/- to poor & meritorious students of National Maritime Institute (NMI), Chattogram under the corporate social responsibility program on November 25, 2018 in passing out ceremony organized by NMI. In the presence of Mr. Shajahan Khan M.P, Hon’ble Minister, Ministry of Shipping, Mr. Md. Mahabul Alam, AVP & Manager of FSIBL Bandartila Branch handed over the cheque to the poor & meritorious students of NMI. Among others, Capt. 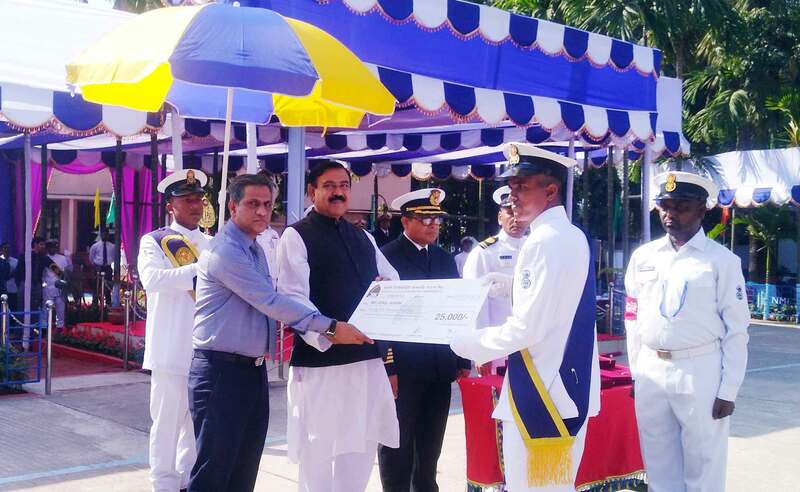 Faisal Azim, Principal of National Maritime Institute along with other officials were present on the occasion.